Does Online PR Distribution Really Boost Your Brand? Home Society Science and Technology Does Online PR Distribution Really Boost Your Brand? Although many experts have predicted the death of press release, it’s still alive and kicking. In fact, it’s the reason why online PR distribution services exist. Newswires or press release distribution sites syndicate releases to their network of journalists, influencers, and media outlets. Others are even partnering with other popular PR services to provide a wider network. It appears on search engines, other sites, and locations that widen an organization’s reach and exposure and build brand awareness. Does online distribution really help a business? In what way? Does it deliver long-term results? You may have a lot of questions in your mind if you haven’t tried online distribution. You may wonder if it can provide you with good ROI or will it help you establish your brand. Let’s discuss how including it in your marketing tactics can help grow your brand. This may be your goal right now, to be an industry leader or expert. Although you are a new business, becoming an expert can be done with the help of publishing releases on a regular basis. Start writing topics that focus on your strengths as a brand. Talk about the issues happening in the country or society right now. Piggybacking on these issues can be a great point to show your perspective. Write white papers. Tackle how your brand can solve the issues. Provide new information in your industry. Maybe you have made your own study or research that will provide a solution to a problem, or will improve the lives of people. You can set a trend that will make you a thought leader in your niche. Perhaps you have a new method or a breakthrough product that will help a lot of people and your industry. If you can write these topics more frequently, people will see you as an expert. It’s one way to gain trust and credibility. Everything follows once you have built trust. Use press release distribution sites to syndicate your press releases. Get a monthly or annual plan to stay on top of the news. It boosts your site traffic. When you distribute releases using quality press release service, more people visit your site leading to more traffic. More people will be inquiring about your business like what products or services you offer, how they can order, or what makes you stand out in the market. When you have more visitors to your site, it means that you have more opportunities to generate new leads. You have more chances to promote your brand, and more opportunities to grow your business. Having a lot of people visiting your site is not all about the numbers. Take a look at the deeper impact of having more site traffic. You’ll hire more people to work with you, open new branches, add more products or services, boost your sales, and more. These developments are the signs that your business is growing. If you think that more site traffic is enough, it’s not. You should ensure that you have quality traffic. Why? When you have the right visitors on your site, you’ll have better conversion rates. Most new businesses fail because they weren’t able to get much exposure. Although you’re just a startup, you should work on your exposure early on. Begin it with the introduction of your new product. What features are unique to your offer? Did you come up with a catchy slogan that people can’t forget? Do you have a unique product design? Although this tactic is crucial, you shouldn’t forget to solve some issues. Successful businesses are successful because their products made the lives of their target better. Remember these things when writing a release and using a newswire to distribute your release. 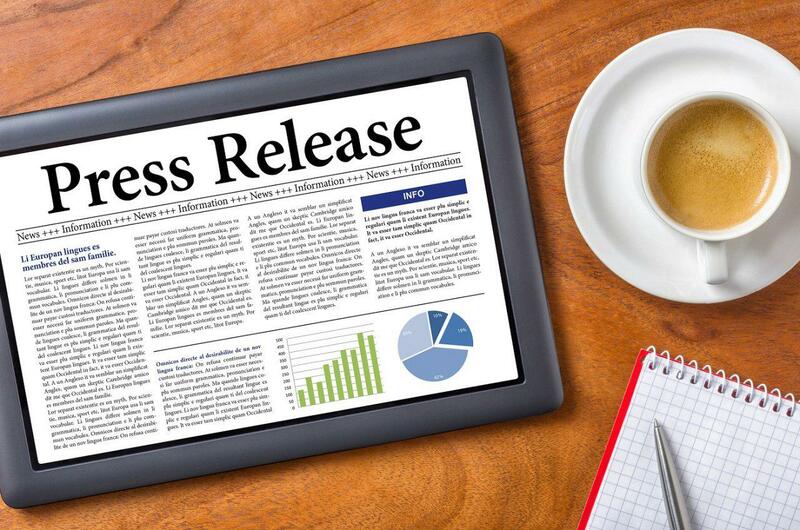 Using press release distribution services can provide immediate exposure. They have a network of reporters, influencers, publications, sites, and other locations. It is integrated with social media which enables you to reach people and places that are hard to reach without using the wire. Distributing content via the wire service helps grow your sales. Since the majority of newswires offer to target by locations, industry, or beat, you get your news in front of your target customers. These are the people who have an interest in your product or service. Your story reaches the people who have the interest to buy from you. Moreover, using online distribution services ensure that releases are optimized for search engines. If your release appears on top of the search results, it attracts visitors to your site. As discussed above, more traffic leads to higher conversion rates. More people means that there are more people who may have the interest to dive into your marketing funnel. These days, it’s so easy for you to get attacked online. Some businesses fail because they forget to prepare during these times of crisis. Issuing a release through online distribution can help you address the issues right away and mitigate the crisis. Using a platform like newswires ensures that your news is distributed to a big network at once. In times of crisis, you don’t have to panic. You can use a wire service that provides a writing service to do all the work. After seeing the first draft, you can easily set it up for distribution. The earlier you can issue a release, the better. You can save your reputation from being damaged and maintain your credibility. It improves your social media exposure. When you choose a wire service, ensure that it offers social media integration. You need to create an impact on social media. Everyone knows how it helps businesses. Inquire if they have this feature. Does it allow you to auto-post your story on your Facebook or Twitter account? Does it have a social media sharing button to encourage visitors to share it? The world of social media is so huge that you can’t ignore the fact of how it can help your story get much exposure. Using newswire can provide you a new way to promote your business in front of people and sites that are impossible for you to reach before. A press release that is social media ready can get as many reads, likes, shares, and engagement. More interactions on social media can boost your SEO. Again going back, when more people see your news, there is the likelihood that you’ll have higher conversion rates. You can promote your news on different platforms. A wire service helps widen the reach of your news. It’s because they have different distribution strategies that syndicate your story to different reporters, media outlets, and locations. In just one push of a button, your release is ready to be seen on various channels without much effort. Using newswire cuts the long process of distribution. Fortunately, there are distribution services that streamline the process. For instance, Newswire ensures that the first draft of your release is ready within 48 hours. This means that your story can reach multiple places at one time. It provides a quick process and fast result. You can attract more leads and investors. When your story is distributed across various channels, you’ll attract more leads and investors. However, it’s enough that it is just present everywhere. You need to issue a quality announcement. Keep it newsworthy and relevant to get the attention of investors. If you’ll get a monthly or annual distribution package, your brand will be visible frequently. You’ll be at the top of their minds. They are eyeing for brands that they can trust. Issuing a release via wire can make this possible. By distributing a well-written and effective release, you can be a potential partner for them. You have more opportunities to earn quality backlinks. Press release distribution sites are connected with their network of reputable (has high page rank) reporters and media outlets. Google gives authority to these sites. If you produced and distributed well-written, newsworthy and interesting content, you’ll attract them to link to your site. This increases the number of quality backlinks that help boost your site on the search ranking. Some online press release platforms allow the use of anchor text on hyperlinks. It gives Google a signal that your site is ranking for a certain keyword. When you’re on top of the search engine result pages (SERPs), you attract more visitors to your site. Your news appears on Google News. Using a press release distribution platform allows you to appear on Google News, Bing, and Yahoo. Your exposure on top of the search engines can help you become more visible. People looking for a particular keyword that you used will see your content. When your story appears on Google News, you’ll have more traffic to your site. Now that you’ve learned the many ways on how distribution can help grow your business, you need to develop a basis on how you’ll choose a distribution service. Focus on your goals, budget, and needs. Don’t forget that content is King. Make sure that you are distributing high-quality content that the media would love. This doesn’t only help you in getting traffic an exposure but media opportunities.